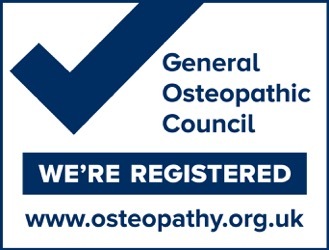 Osteopathy is a system of healthcare that assesses, diagnoses and treats the whole body and many health problems. It considers all aspects of a patient's life, examines many of the systems of the body to make an evaluation of the general health of the patient and identify the damage, strains and tensions causing the symptoms. Our Osteopaths will be able to detect and treat strains or damage to the body, including those to nerves, muscles, ligaments, tendons, blood vessels and joints. This damage may have been caused by work, recreational or sports-related injuries. Osteopaths work with these tissues and structures, the aim of the treatment is to engage the body’s own self-repairing mechanisms and, in this way, to relieve pain and improve body fuction. An osteopathic treatment can also have profound effects on the efficiency and health of the body, such as circulatory, respiratory, neurological and digestive systems. When the human body is in perfect balance and working efficiently, it will function with the minimum of wear and tear, stress, or energy consumption being caused. This, in turn, reduces pain, disability and subsequent physical exhaustion. Osteopathy will therefore help you to carry out your daily activities at work and home and will also aid you in sport and other recreational pastimes. Cranial osteopathy is a gentle, non-invasive, refined form of osteopathy that encourages the release of stresses and tensions throughout the body. Cranial osteopaths are highly skilled to feel very subtle, rhythmical shape changes that are present in all our body tissues. Cranial osteopaths are highly skilled in feeling the subtle, rhythmical shape changes that are present in all our body tissues. Some babies and post-natal mothers feel irritable and restless after a traumatic birth, involving the use of forceps, ventouse, suction, or induction. These feelings can also appear after a non-traumatic natural birth. The baby can experience difficulty feeding or may suffer from constipation, irregular bowel movements and general feelings of exhaustion. Cranial osteopathy can be very helpful for both mother and child in such circumstances. Western medical acupuncture, or ‘dry needling’ is a therapeutic technique involving the insertion of fine needles into various parts of the body; it is an adaptation of traditional Chinese acupuncture, but also uses the modern medical knowledge of anatomy, physiology and pathology, combined with the principles of traditional evidence-based Western medicine. If deemed suitable for the patient and their condition, Shambhu Manandhar, at West London Osteopaths, uses this method of acupuncture for pain relief alongside traditional osteopathy. In general, acupuncture is a particularly good source of pain release in muscles and joints. Many patients say that acupuncture also gives them an overall sense of wellbeing, of an improvement in their energy levels, vitality and general health.